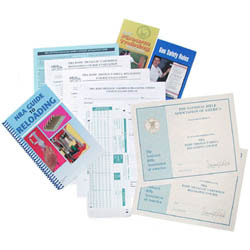 NOTICE - PLEASE, Call for details for all Instructor Courses including pre-course requirements. 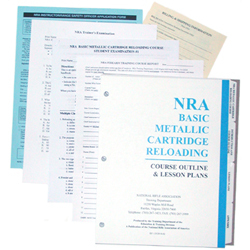 Short Description : To develop NRA Certified Instructors who possess the knowledge, skills,and attitude necessary to conduct the NRA Basic Metallic Cartridge Reloading Course. More Details: The course is eight hours long and is conducted by an NRA Training Counselor in a classroom. Important Note: Safety, adequate training, and the practice of proper techniques constitute the foundation of reloading. For this reason, anyone who wishes to engage in reloading should first become thoroughly familiar with proper reloading procedures (through a training course or other means). Also, reloading should not be undertaken by anyone who cannot devote his or her complete attention to the reloading process. Always consult a current reloading manual published by a reliable source and use only the components specified. Remember to double-check everything!